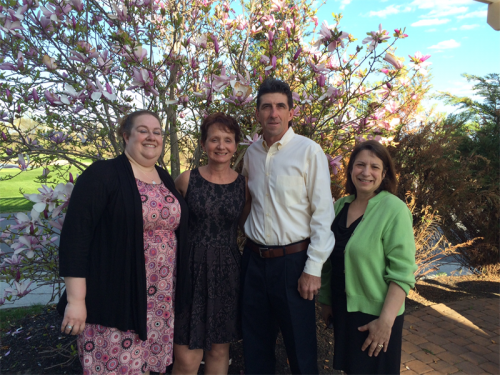 Home › News › Congratulations to CASA Volunteer Dean (Shawn) Hagemann, Winner Of The 2015 Cherish The Child Program Award! 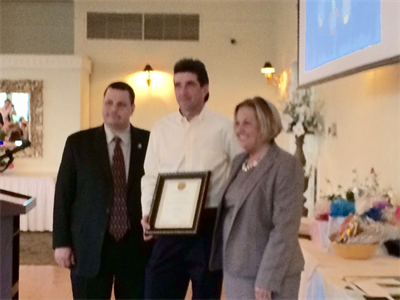 Congratulations to CASA Volunteer Dean (Shawn) Hagemann, Winner Of The 2015 Cherish The Child Program Award! L to R: Lisa Oros, Case Supervisor, Teri Triano-Davis, Case Supervisor, Dean, Lori Morris, CASA of Mercer County Executive Director. Dean has been a CASA Volunteer since 2009, and is currently working on his 6th case. His enthusiasm and tireless efforts to make a better life for each child he has served make him a true gift to our program. Congratulations Dean, and thank you! To read more about Dean and his efforts, click here. L to R: Jason Salvatore, Commission Member, Dean Hagemann CASA, Robin Scheiner, Commission Chairperson.